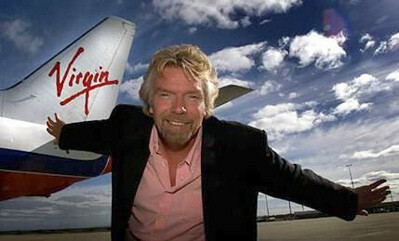 Richard Branson’s Virgin Hotels has structured an office in Coconut Grove Miami, according to several news sources. The move comes as part of the company’s plan to connect easily with several regions including Latin America, The Caribbean and Europe. Virgin Hotels is a subsidiary of Virgin Group, where its Coconut Grove office is manned by 10 employees in a shared space with Virgin Mobile Latin America. The hotel group was established just two years ago, but has its eyes set on expansion. Earlier reports by Miami Herald confirmed that the group had a longstanding interest in developing hotel franchises in Miami Beach and Brickell. Fort Lauderdale is also on the radar, according to the company’s CEO, Raul Leal. The first franchise will be opened in Chicago, followed by New York. A Bloomberg report has furthermore stated that the brand plans to expand globally with an aim of 25 hotels by 2020. The mission according to the same executive is diversity. The hotel chain is hinging on brand recognition to lure in high income demographics and they’ll be marketed as four-star hotels featuring 150-400 rooms each. Miami is undergoing major expansion in several real estate sectors including commercial and residential real estate. For vacant land spaces, preconstruction condos featuring luxury amenities, office buildings for sale and more, Contact Sydney Server at 305-562-7363. Contact Miami Realtor Sydney Server for more information.